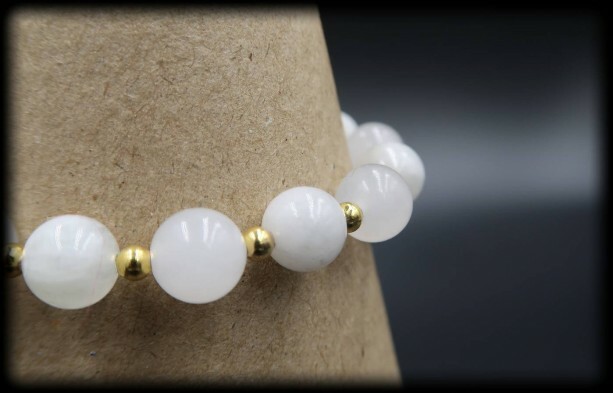 Embrace this pure and immaculate bracelet constructed with "The Stone of New Beginnings" , Moonstone and White Jade. 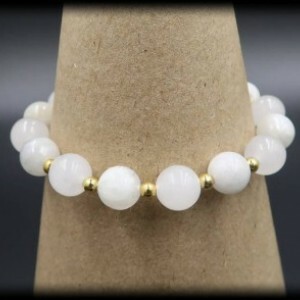 Filled with positive feminine energy, Moonstone, balances hormones, promotes intuition, and allows you to calm overreacted emotions. 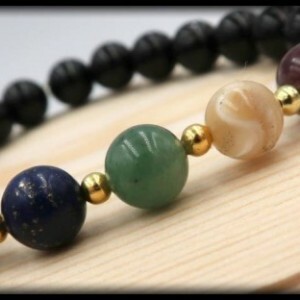 Associated with the Third Eye chakra, for women, this will help improve emotional intelligence, stabilize fluid imbalances, and support the female reproductive system. 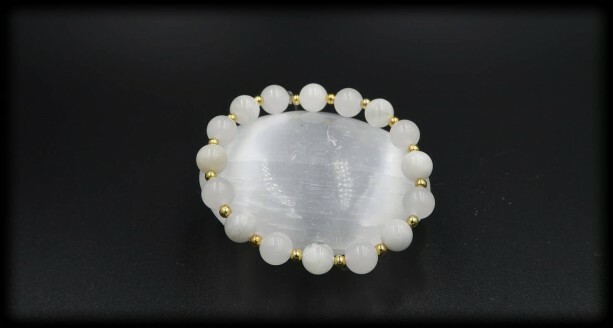 As White Jade represents symbols of serenity and purity, it also signifies wisdom, and awakens your hidden knowledge. 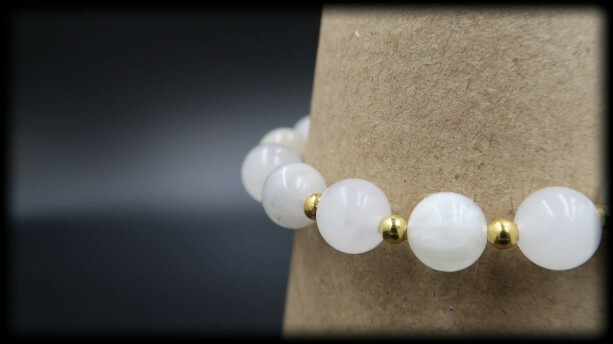 This stone brings harmony, attracts good luck, friendships, stabilizes your personality, and stimulates ideas while calming the mind. 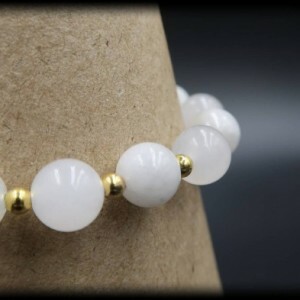 This heavenly piece is crafted with 8mm beads of Moonstone and White Jade. 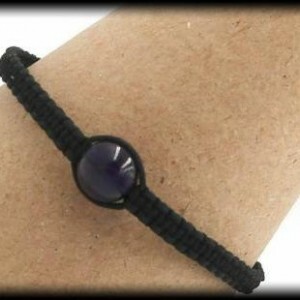 SIZING INFORMATION Please measure your wrist with a measuring tape to ensure the most accurate measurement. If you do not have a measuring tape, you can also use a string by wrapping it around your wrist and then cutting the piece of string. After you have your cut string, place it alongside a ruler and write down your measurement. To ensure a perfect fit, please had 0.5 inch to your wrist measurement, if you want a little room please add .75 inches to your wrist measurement.